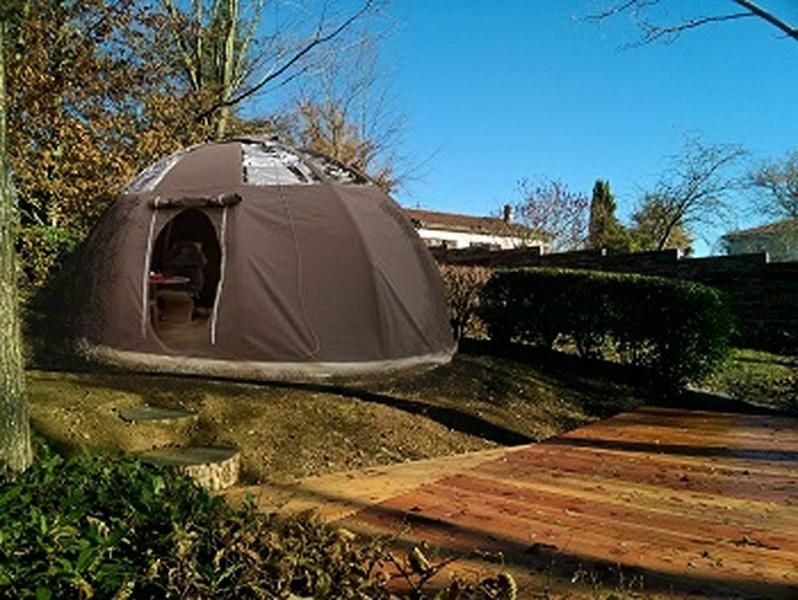 Located in Cassagnabère-Tournas, the campsite Pré Fixe **** is located in a green environment facing the Pyrenees mountains where you will find the pleasure of living in harmony. You will discover a soothing and respectful of nature, where parents and children will taste a true moment of relaxation and conviviality. Le Pré Fixe is a family campsite, part of a respectful approach to the environment. The land, terraced, offers a breathtaking view of the Pyrenees. From May 1st to September 30th, the heated swimming pool will be at your disposal. The campsite also has a bowling alley, a badminton and volleyball court, ping-pong tables, a trampoline for children, board games and a children's library. In July and August children's events are organized. Your hosts, Celine and Cyril, passionate wine and gastronomy, will feast on local produce. The campsite has indeed a restaurant with fresh, local and organic. A flat slate "house" different every day is presented. Tasting evenings, barbecues and various activities are organized. A bistro / wine bar with high quality references, is also located on site. You will be offered a rigorous selection of small producers working in a sustainable development approach, respectful of the land and the vineyard, and displaying reasonable rates. It is in this privileged setting that fit your next vacation, where you can taste, in family, precious moments. Tent 2 people of 8m ² composed of a corner cooks equipped, a corner room, a small terrace. Note: The tent does not include toilets. The tent includes a kitchenette equipped with refrigerator, stove, gas grill, kitchen necessities. picnic table available.